Directions: To use any of the four maps below, simply click and drag the image to your desktop. You can also right click (Windows) or control click (Macintosh) and select the copy option from the pop-up menu. For additional assistance, see Help Using Maps. 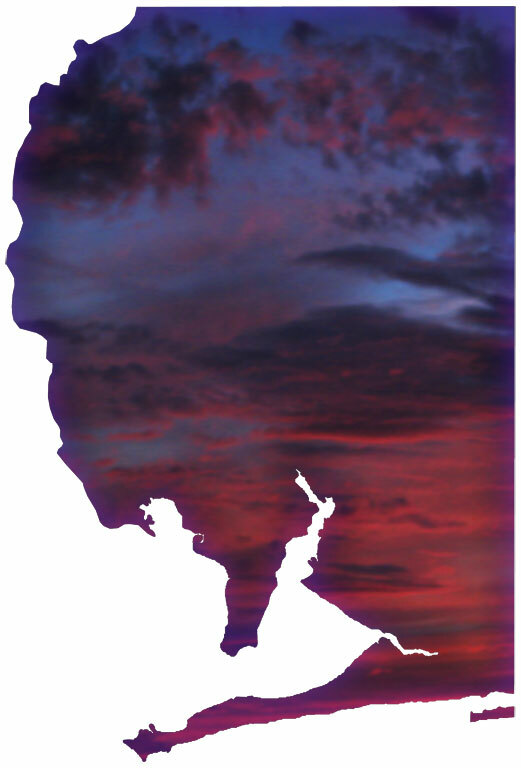 Description: A map of Santa Rosa in the shape of a sunset photograph. Suitable for the following themes: Florida environment, sunset, clouds, weather. These maps are in the JPEG format. You can use them in your presentations, reports, and Web pages. There is also a link to a high-resolution TIFF version of the map if you need to print a very large, high-quality image. For any project such as a presentation or a web page that will be displayed on a computer, you should use the JPEG versions displayed above, not the TIFF version.